Nobody is going to try and steal your change when the Red Hulk is staring them in the eye! 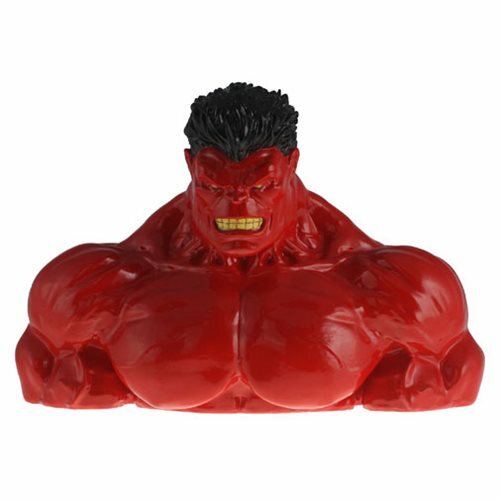 This Red Hulk Resin Coin Bank features the frightening character looking just about as red as ever. Coin bank measures 7-inches tall!